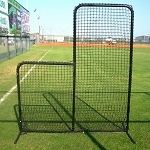 A great all around cage net. High quality, tough, but still economical. This 55 ft long by 12 ft wide by 12 ft tall net is a level above the Cimarron #24 braided poly batting cage net. 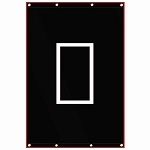 Excellent for outdoor use, high school team use and even light commercial applications. 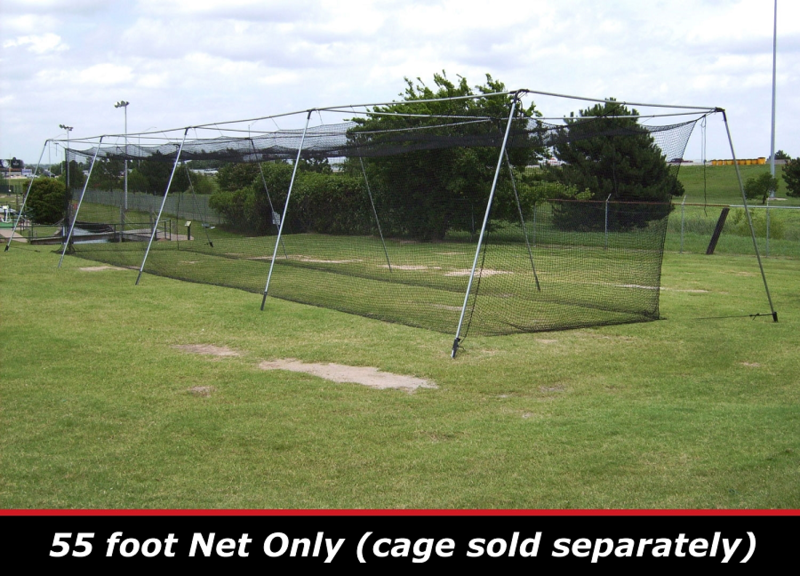 THE CIMARRON GUARANTEE: Cimarron Sports guarantees 100% satisfaction with your 55' x 12' 12' Batting Cage Net. Products may be returned for a refund within 31 days of the date the product was shipped to you, when returned in accordance with the Cimarron Sports policies outlined in the Shipping & Returns section of this website.